Atlanta, GA, December 29, 2009 -- Imaging USA (www.ImagingUSA.org), one of the longest running conventions and tradeshows for professional photographers, will also be offering free public access to its International Print Exhibit in Nashville, Tenn., at the Gaylord Opryland Resort and Convention Center. On display January 10-12, 2010, this exhibition—one of the world's largest annual photographic print exhibits—will provide inspiration, not just for professional photographers, but for anyone who appreciates the artistry of photography. “Many people gather ideas from what they see around them. That's one reason the International Print Exhibit is perfect for the artistic at heart. For professional photographers, it's one of the best places to get inspired to try a new pose or filter and be reminded why they first loved this medium,” says Jim Dingwell, coordinator of Professional Photographers of America's (PPA) Photographic Exhibitions Committee. The images that will be displayed come from around the world and are largely from PPA's prestigious annual International Photographic Competition, including all of the images from the 2009 PPA Loan and General Collections. Loan Collection images will travel to different photographic conventions around the world, but the Gaylord Opryland Resort and Convention Center is only place where all collections can be viewed in one place. The print exhibit is free and open to the public at the Gaylord Opryland Resort and Convention Center, Ryman Exhibit Hall B6, Level 0. A convention featuring educational classes for photographers and more than 600 tradeshow booths with an expansive array of photography products is also available for additional fees. Registration for the convention is still open at www.ImagingUSA.org. Imaging USA is presented by an alliance of Professional Photographers of America (PPA), the Society of Sport and Event Photographers (SEP), Commercial Photographers International (CPI), the Stock Artists Alliance (SAA) and Evidence Photographers International Council (EPIC). 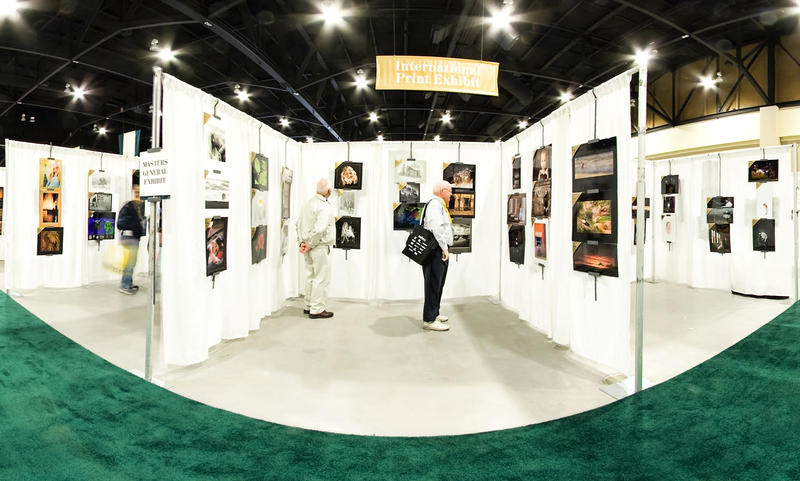 It began in 1880 as the annual convention and tradeshow for PPA and is the longest running national photographic convention, expo and image exhibition in the United States. Always growing and evolving, Imaging USA became home to a new conference in 2006: SEPCON (the Sport and Event Photographers Conference), SEP's annual conference. In 2006, Imaging USA also welcomed Adobe as an official sponsor of the Adobe Photoshop and Lightroom for Photographers track, now the Adobe Photography Solutions track. In 2008, Imaging USA welcomed EPIC School (Evidence Photographers International Council). For registration information and complete program details, visit www.imagingusa.org. Professional Photographers of America (PPA), an international non-profit association for professional photographers, exists to assist its more than 21,000 members in achieving their professional, artistic, and fraternal goals; promote public awareness of the profession; and to advance the making of images in all of its disciplines as an art, a science and a visual recorder of history. For more information, visit ppa.com or call 800.786.6277. The Society of Sport & Event Photographers (SEP) is a private, non-profit association dedicated exclusively to serving the needs of sport and event photographers. SEP marshals the resources of the event photography industry and delivers them to its members via their exclusive online content, Action News publication and live events. For more information, visit SEPsociety.com or call 877-427-3778. Stock Artists Alliance (SAA) is the only trade association focused on the business of stock photography. SAA supports its membership with exclusive and speaks up for the interests of stock artists with a clear and powerful voice in the licensing industry. The heart of SAA's mission is education and advocacy concerning core issues, such as the need to better protect and promote licensing through the use of standardized metadata. Learn more at stockartistsalliance.org. Commercial Photographers International (CPI) is a non-profit organization focused on the changing needs of commercial photographers. For more information, visit MyCPI.com. Evidence Photographers International Council (EPIC) was founded in 1968 as a non-profit educational and scientific organization with the primary purpose of advancing evidence photography. In 2009, the Evidence Photographer Certification was launched, dedicated to raising the standard in the industry. For more information, please visit EvidencePhotographers.com or call 866-868-EPIC (3742).